Glad to see Unknown Artist back ! 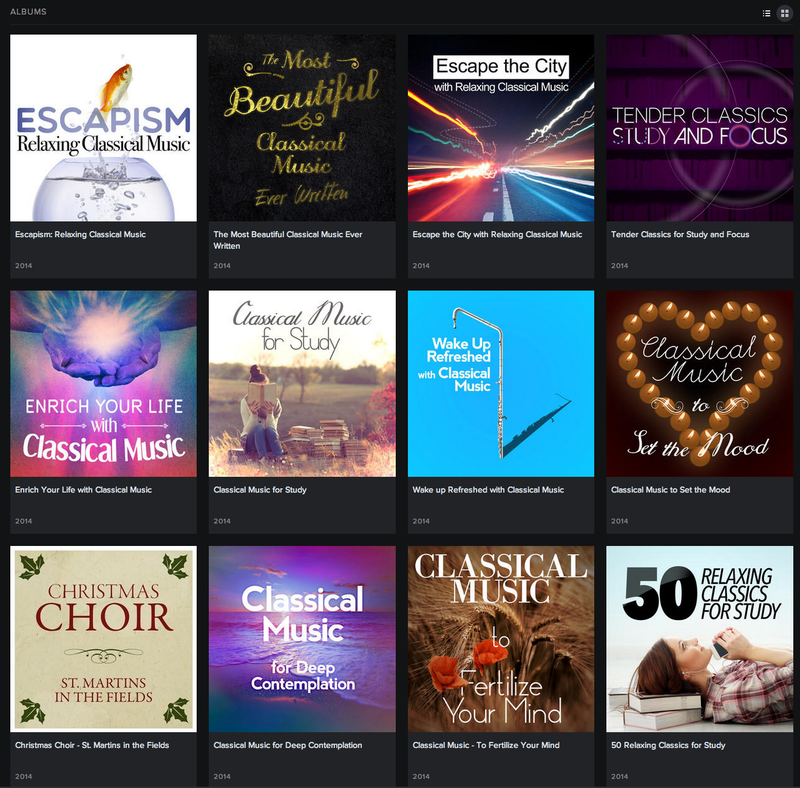 Seriously, i think that what's is missing on classical spotify music section is your "spotifyclassical" work. Something about user experience, like subtitles on opera, some explanations about a master piece, heritage, its contemporary influence. In two words, more than a wikipedia fetch. Wikipedia would not be useful as they do not have pages on individual albums, and the Wikipedia community would probably delete such pages as "advertising". Why not set up a "spotifyclassicalwiki" and get Spotify to do a fetch on that?! You could encourage contributions - and make money yourself (!) - by allowing associate links to Amazon and Spotify. You are doing amazing work! I just checked out some artist pages and they are gorgeous. The spam albums seem to be gone. Why take off those compilations? My 17 year old daughter used to play them when she did her homework. I cannot imagine she will get too excited about the new 'serious' classical music. I used to love hearing Bach coming out of her bedroom. Now it's back to Ed Sheeran. That is shame. Classical Music needs new young people. They are still there and anyone can find them by simply search for "classical", "mozart" etc., or browse the classical page in Browse (which is almost tailored only for those use cases). In another word, it's always and still very easy for a young, non-classical fan to find something to study to. It's never easy for true classical fans to browse new Bach releases of the year, and that's what we are trying to fix here. Great work, Ulysses. It's really getting better. What are the chances to have improperly encoded albums finally fixed? I reported some of them very long time ago, and many have never been fixed. Also, fo you know if there is any chance for a lossless option in near future? TIDAL/WIMP already offers lossless. I tried TIDAL, their catalogue did not seem to be substantially different from Spotify. They do not have gapless yet (which is very disappointing in 2014), or maybe they have it at the level of sound buffers, but their stupid application does not pre-buffer the next track. So once a track ends, the playback stops while the application downloads the begginning of the next track. It's pretty terrible, but once they fix it (and I am sure they will) I will be tempted to switch, if Spotify does not offer lossless. Thank you for all your hard work on all this! You've made this classical music lover very, very happy! Hey, just a quick thank you for all your hard work. 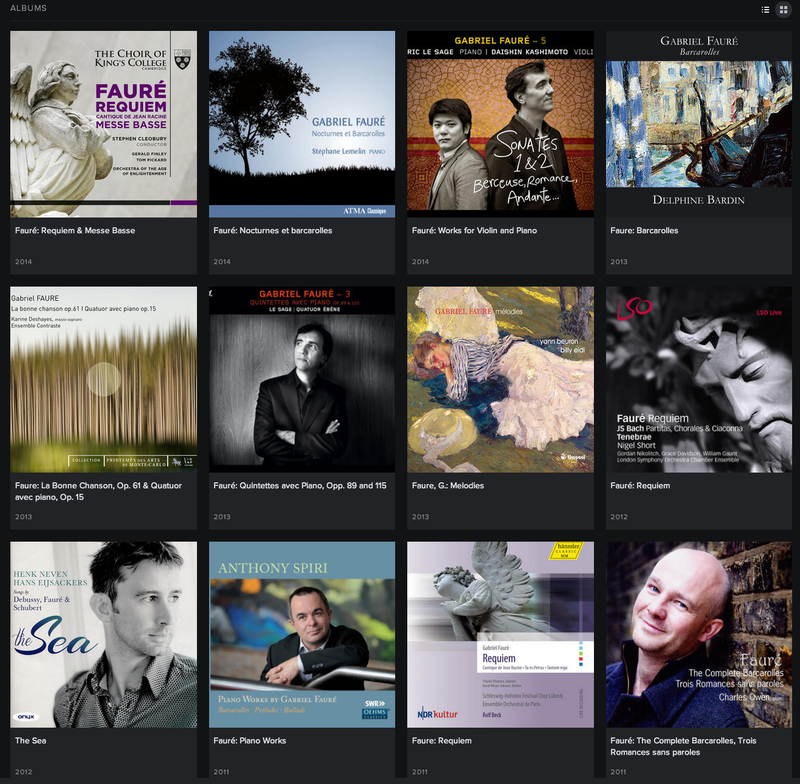 I don't think I could handle Spotify for classical without you! And --- will be there a 2015 version of the New Releases playlists? Seconded! Bring on the 2015 playlist! I sometimes find useful stuff on the NY Times Classical playlist (https://open.spotify.com/user/nytarts/playlist/50Nw4KrYJtIrrliPWDKH2z) but its not nearly as comprehensive as what you were doing. Thank you for sharing the post! This is what I need!